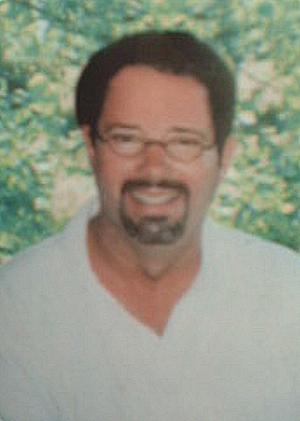 Obituary – Hickson, Michael Dane « Perry High School Alumni Association, Inc.
Michael Dane Hickson, of Tulsa, Oklahoma was born February 18, 1956 in Perry, Oklahoma the oldest of Bailey Dane and Patsy Ruth (Southern) Hickson. As a young boy Mike grew up in Perry, Oklahoma where he began Kindergarten. 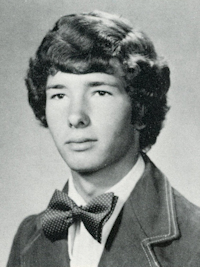 Mike graduated from Perry High School in 1974. After high school Mike moved with his parents to Cleveland, Oklahoma. Mike accepted employment with several different local companies in the oil field. After several years Mike moved to Tulsa where he began working for Kimbel Produce. Mike continued working for Kimbel Produce for many years. Mike was instrumental in expanding Kimbel Produce’­s operation to Springdale, Arkansas, Ft. Smith Arkansas as well as Oklahoma City, Oklahoma. In 1995 Mike began his own produce business Frontier Produce with his partner Rob DeWitt. Mike and Rob started with one van traveling in Tulsa and the surrounding areas. Mike and Rob have currently grown their operation to over five trucks and in excess of 400 accounts. Mike loved watching the science channel, his dogs or just being at home with his family and friends. Mike was very active working around his home building things or just walking the isles of the local building stores buying things for the next project. Mike had a great sense of humor which would include a nickname for everyone. He also had a dream of one day building his own personal island that was large enough for his family and friends to live on. Mike was a member of the First Baptist Church in Cleveland. On April 19, 1965 Mike was baptized and gave his live to his Lord and Savior at the First Baptist Church in Perry, Oklahoma. Mike went to be with his Lord and Savior Sunday evening September 11, 2005 in Tulsa, Oklahoma at the age of 49 years 6 months and 23 days. Survived by his his loving parents Bailey and Pat Hickson of Cleveland, girlfriend Chrissy Jones of Tulsa, Oklahoma; sister Shari and her husband Rob DeWitt of Cleveland, Oklahoma; nieces Stephanie Bradley and her husband Robert, Taryn DeWitt, nephew Jay Spurlock and his wife Sara, great niece Alexys Bradley, six dogs BoBo, Oscar, Chewy, Brittany, Gracie and Belly Buttons as well as a host of relatives and friends. Funeral services will be held Thursday September 15, 2005 at 2:00 pm in the Sanctuary of the First Baptist Church with Dr. Larry Wilson and Rev. George Boston officiating. Burial will follow at the Terlton Cemetery on the family plot under the direction of Chapman-Black Funeral Home, Inc. of Cleveland, Oklahoma. Pallbearers will be Scott Varvel, Dale Davis, Jimmy Spurlock, Zach Davis, Raphael Hernandez, and Mike Fleming.